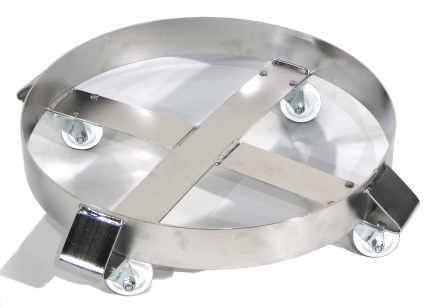 Model 14 Round Drum Dolly for 55-gallon (210 liter) drum. 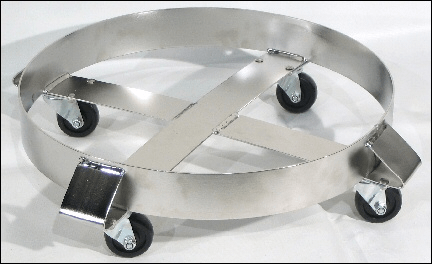 Model 14-SS Stainless Steel Drum Dolly for 55-gallon (210 liter) drum. 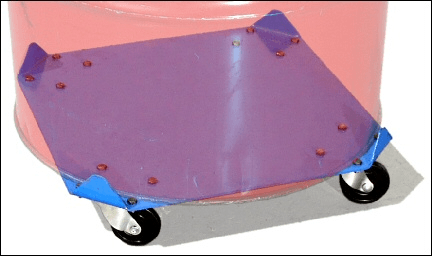 Casters are bright-finished steel with 3" (7.6 cm) MORTUF polyolefin wheels. 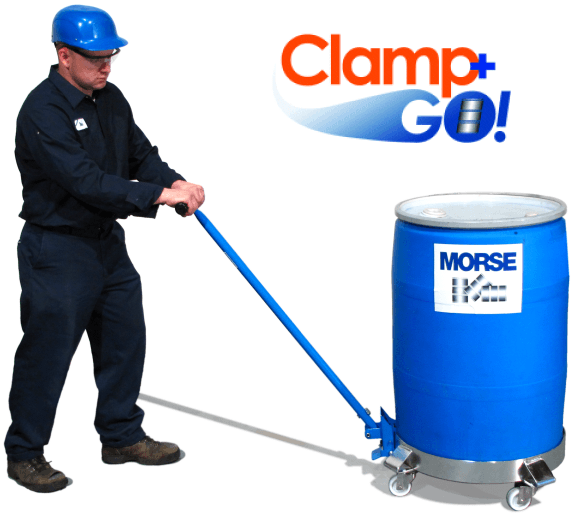 Pull or push various drum dollies with the Morse Model 24 Clamp+Go TM Dolly Handle. 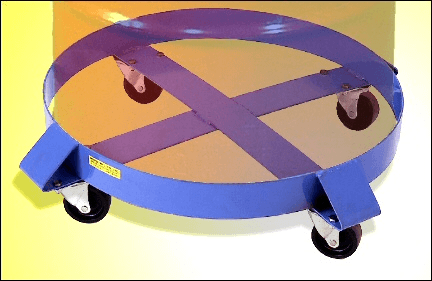 Model 34 Square Drum Dolly for 55-gallon (210 liter) drum. 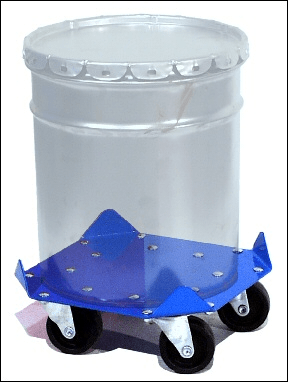 Model 34-5 Square Drum Dolly for 5-gallon (19 liter) pail.